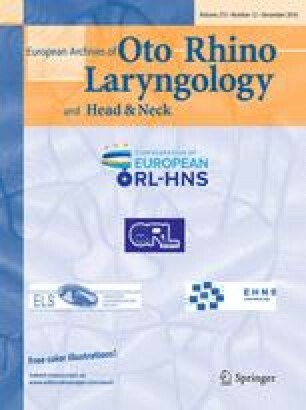 This study was conducted to investigate the presence of the accessory maxillary ostium and its effects on the maxillary sinus, and the concurrent occurrence of morphological variations of neighboring anatomical structures. This study was performed in a tertiary referral center. This is a cross-sectional retrospective study that evaluated coronal CTs of patients to determine the frequency of the accessory maxillary ostium and investigated any simultaneous morphological variations in neighboring anatomical structures. The presence of the accessory maxillary ostium (AMO) plus any concurrent morphological variations of neighboring structures were investigated in 377 patients, with 754 sides. AMO was found to be present in 19.1 % (72/377) of the patients. A concurrent mucus retention cyst was found to be statistically significant on both sides (right side: p = 0.00, left side: p = 0.00), as well as mucosal thickening (right side: p = 0.00, left side: p = 0.00), and maxillary sinusitis (right side: p = 0.04, left side: p = 0.03). No other concurrent variations of statistical significance were detected in the neighboring structures. Our study demonstrated that with the presence of AMO, the likelihood of encountering a mucus retention cyst (48.6 %) had an approximately threefold increase, and that of encountering mucosal thickening (43.0 %) and maxillary sinusitis (29.1 %) had a twofold increase.